Home › Places & green spaces › Ask a Park Ranger…can I bring a BBQ? Ask a Park Ranger…can I bring a BBQ? 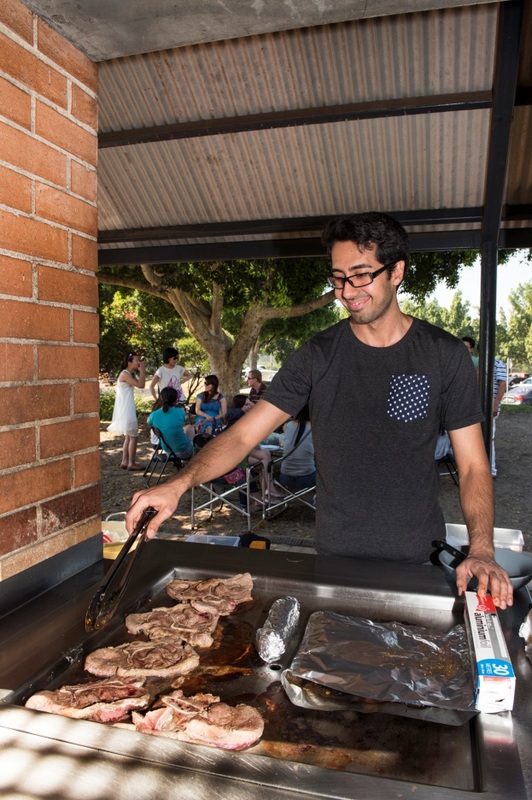 With the changing of the seasons, BBQs become increasingly popular in the Park. What type of BBQ can I bring? Gas BBQs must be in good working order and the gas bottle must be within test dates. You may not use old cylinders that are out of date in the parklands. BBQs that operate on heat beads are allowed. Other solid fuels such as wood burning BBQs are not allowed. Can I put my BBQ anywhere I like? Bringing your own BBQ means you can cook close to where your group is sitting. Whatever type of BBQ you have please set up away from ground fuel. Putting your BBQ on grass or concrete is always better than on wood chip or in gardens. You must always have water on hand to extinguish your fire or to use in case of minor burns. Rub the paste all over the chicken and leave refrigerated over night. Cook chicken on BBQ. Baste with some coconut milk (not too much) and serve with a rice or green salad.